It started with Glynn Hayward working on a computer in the back bedroom of his Keynsham home. But now the Complete Control digital agency is one of the area’s great success stories. With turnover of more than a million pounds a year, and 18 members of staff hard at work in the company’s studio in a converted farm building near Saltford, Glynn and his team are working with some of the best known characters in children’s media – from Charlie and Lola and the Teletubbies to Dennis the Menace and the Go Jetters. The team specialise in moving established characters on into the digital realms, with spin-off websites, apps, games and avatars – though their own original characters who exist only in the digital realms are also proving popular with youngsters. Back in the 1950s and 1960s comicbooks had the monopoly on children’s entertainment, then in the 1980s and 1990s television took on that monopoly. “But these are interesting times,” Glynn says, “because now all these new media channels have opened up for children to engage with their favourite characters, and children are completely open to using a vast range of digital channels – which is why so many children’s TV shows now have spin-off apps and onlne games. The team is also currently developing characters called Bebods, which children can print off and build into three-dimensional figures. “They’re proving very popular, and a number of the big brands are allowing us to develop Bebod versions of their characters – Bebod Dennis the Menace and Bebod Gnasher, for example. It’s a nod to children’s self-consciousness in the digital age that they might want to play with an avatar of themselves, but Glynn and his team clearly know what they’re talking about – another online app they are currently working on allows children to superimpose their own faces on to their favourite characters from the cBeebies series Go Jetters. 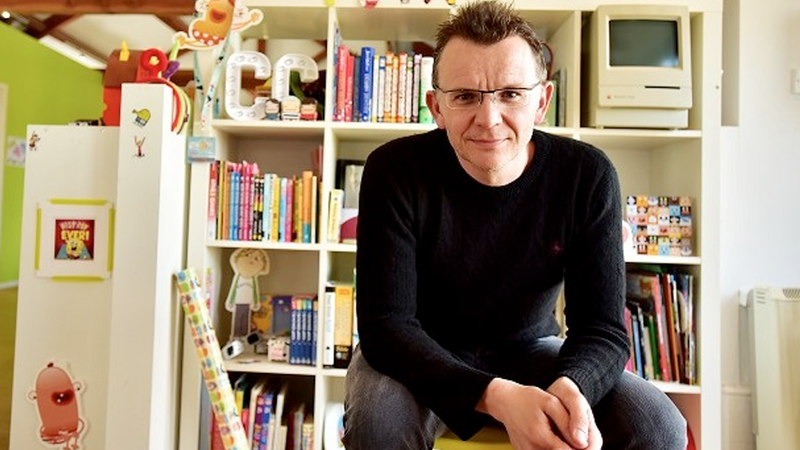 “We were chosen from 290 agencies that applied worldwide to work with the BBC on shaping the direction their children’s media will take over the next 20 years as the industry evolves,” he says. Microsoft Ventures, the entrepreneurial wing of the giant US corporation, is also very interested in the potential for Bebods to take off in the American market – so much so, they have given the agency a Microsoft mentor to sit over and advise on the direction of the project. But the perhaps the most interesting thing on Glynn’s radar is that he is actively looking at ways to develop the agency’s connection to physical toys.